Well-balanced sales of both cars and trucks were a familiar theme for the Honda Division in July. Despite tight supplies of Odyssey and certain CR-V, Pilot and Ridgeline models, Honda truck sales managed a solid showing against a record July 2016, with HR-V having its best month ever and CR-V surpassing 30,000 units for the month. 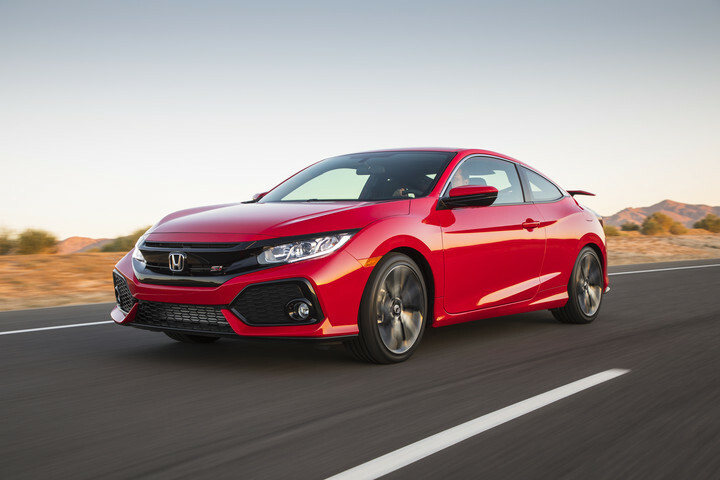 Civic and Accord continued to show strength with sales above 30,000 units, with the hot new Civic Type R and Si variants bringing renewed energy to the showroom, helping overall Civic sales to a new July record. HR-V set a new all-time monthly record, gaining 32.3 percent on sales of 9,779. Civic sales reached 36,683 for a new July record, rising 11.3 percent for the month. Accord continued to show strength in July, surpassing 30K sales for the month. Small on size and big on attitude, the redesigned 2018 Fit is the right mix of modern sport styling and aerodynamic efficiency. 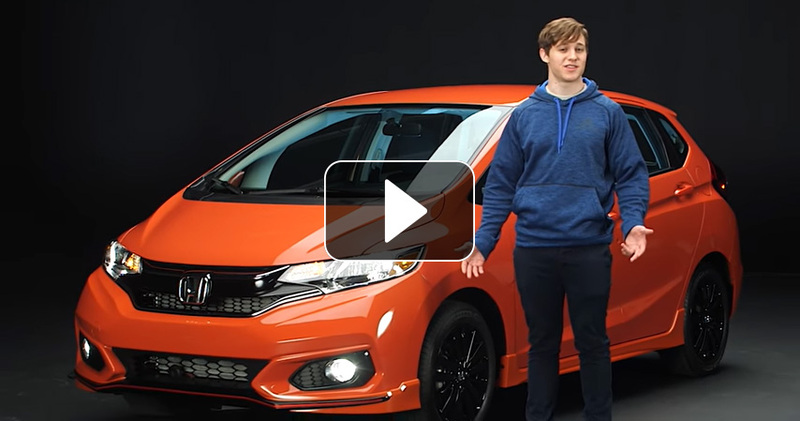 The new Fit has a unique visual flavor that looks striking from any angle, especially accented with redesigned LED Taillights, Rear Spoiler and Chrome Trim. The new Fit’s interior was designed to maximize the size and utility of space, so it looks compact on the outside, but rest assured, there is over 93 cu. ft. of passenger space and up to 52 cu. ft. of cargo capacity inside*! With seating for up to 5 people, different cargo modes to meet your changing needs, and an impressive lineup of Honda technologies and safety features, come explore the new 2018 Fit at Ralph Honda today! #1 – Protect your investment. 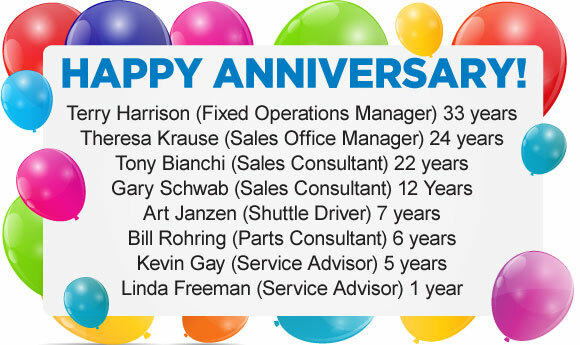 The better the condition of your vehicle, the higher resale or trade-in value. 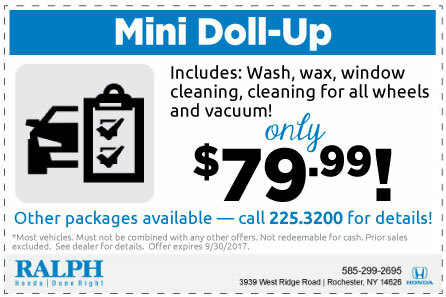 Depending upon the vehicle, regular cleaning can equate to thousands of dollars in value. Acid rain, road salt, bird droppings and sun damage are just some of the threats to your car’s condition that can be addressed by regular car care. #2 – Take pride and feel good. A clean car looks better and communicates pride. Who doesn’t feel better driving in a clean car? Washing regularly keeps windshields, mirrors and signal lights clean. You will see more of the road, others will be better able to see you. #4 – Improve fuel economy. #5 – Save time and money. #6 – It’s safe for the vehicle. The world’s automobile manufactures trust professional car washes with their new vehicles and so can you. Today’s car wash technology is washing cars more safely and effectively than ever before. 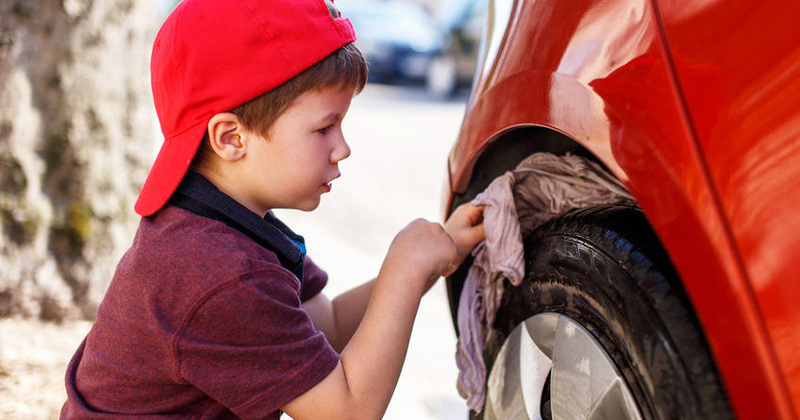 And, a recent study of more than 5 million car washes revealed the rate of damage to be less than one-tenth of one percent – and that even included pre-existing damage (i.e. vehicles that come to the car wash that are already damaged)! #7 – Protect yourself from bacteria. Regular cleaning of your car’s interior can help keep away bacteria and other “bugs” that accumulate on steering wheels, gearshifts, radio buttons and other commonly touched places. September 10: Happy Grandparents Day ~ Thank you to all of our wonderful grandparents out there!